Hey, you guys like John Oliver, right? 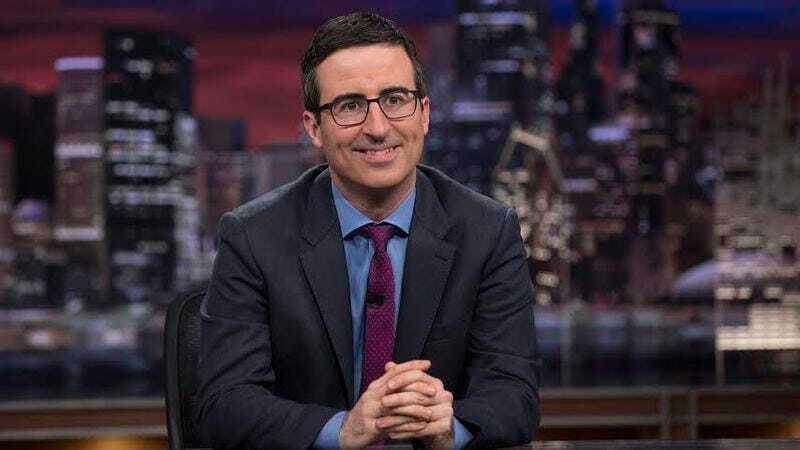 This winter, the beloved host of HBO’s Last Week Tonight is taking some time off from invoking the ire of South American presidents and exposing tobacco companies’ cover-ups to perform at The Chicago Theatre. That’s right, the master of the “epic takedown” will be ringing in the New Year in the Midwest with sets on December 30 and 31. Pre-sale tickets have already been snatched up, with regular ticket sales starting tomorrow, August 21, at 10 a.m. CST. Seats are expected to go fast, but, luckily for you, The A.V. Club has a pair of tickets to the show and we want to give them to you. Thanks to the folks at The Chicago Theatre, we’re giving away two tickets to see John Oliver on Wednesday, December 30, at 7 p.m. For your chance to win, simply send an email to avcontests@theonion.com with the subject line “John Oliver.” Be sure to include your full name in the body of the email. On Wednesday, August 26, we’ll select one random winner from our eligible entries and notify them via email that day. Two tickets will be held at will call under the winner’s name and will be available for pick up on the day of the show. You don’t have to be Chicago-based to win, but we’re only giving away tickets, so you’re on your own with travel and lodging. Further ticketing information for John Oliver’s shows at The Chicago Theatre can be found here.